Piercing is really innovative and trendy these days. Naturally, it is done to allow the people to wear jewelry but there are many options even with the perforations. 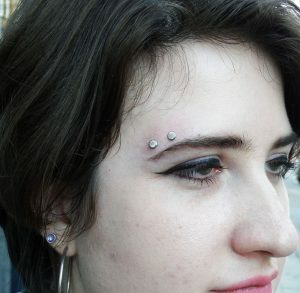 The surface piercing is popular amongst those who don’t want the piercing to go deep into their skin. As is obvious by the name, it is done on skin’s surface – two perforations on the skin plane that penetrate into the skin a bare minimum. It should not be an impetuous decision though. Getting full information about the procedure and aftercare is always advised – it makes you more certain about your decision and help recognizes potential risks. The very first thing to take into consideration is the studio you will be going to get your body pierced. Rather than going for a small and cheap studio, go to a professional studio which might seem a little expensive but in the long run, will prove a prudent choice. It is always better to get acquainted with the studio and the piercer personally and check out everything well in advance. Ask all the questions you need answers for without any reservations – this will help you and your piercer both. If he is kind enough to reassure you, go for it. You’d need to decide where you want the piercing. Commonly, back of the neck, on the face and ear, chest, hip and belly button are favorable locations. The point is to get it somewhere where the contact is minimal in rough areas. 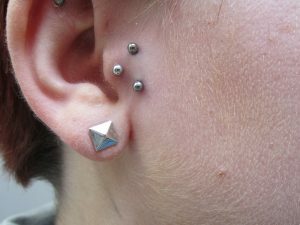 How painful the piercing depends on the location – finger, hip and wrist don’t hurt as much as the face, collarbone and chest piercing. With surface piercing, there is minimal blood loss; a professional can very well take care of what does ooze out. Starting with the procedure, he will first clean the area you want piercing on and disinfect his needle. It is very important to make sure whether or not his equipment is clean and sterilized. If he isn’t doing this, you’re probably going to get some infection later. Some may clamp the skin while perorating to make the insertion smooth while some avoid it to position it correctly. In case he doesn’t clamp your skin, it will definitely hurt. He will also educate you about the jewelries you can use – mostly people use stapler pin kind of jewels. But that will happen only after a cleaning session and it will be followed by more cleaning. The pain of the piercing can take anything from 4 weeks to 8 weeks to fade away. The intensity of pain can be different and vary from one person to other depending on his/her tolerance level. It may take 6-9 months for surface piercings to heal completely. 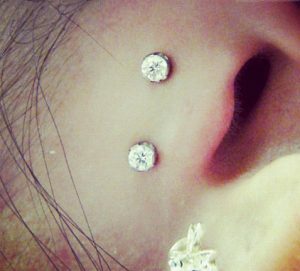 The duration majorly depends on the care observed by a person after getting the piercings. There is no doubt that you need to be extra careful of the piercing. Protect it from injuries or any unnecessary roughness. There are times when the body rejects the intrusion and then pushes the jewelry out which causes tremendous pain. Migration, on the other hand, is when the jewelry shifts its place along with the piercing usually due to a heavy jewelry. For both the cases, it is recommendable using light jewelry with big anchors to give it space to heal. Infection is another probable risk of surface piercing. If you let the dirt settle on your pierced area, it will react for sure, swell or give rise to redness. Keeping it clean is the only way to avoid any infection. 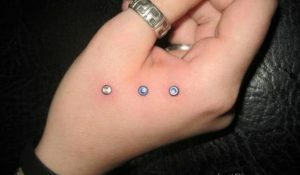 Touch the piercing area with clean hands and wipe it with clean towels. Eat a diet rich in Vitamin C to accelerate the healing process. Clean the area with a cotton swab soaked in the warm salt solution. Keep the area dry and airy. Remove the jewelry from the perforation. Play or fiddle with the piece of jewelry. Going swimming in public pools or bathing in bathtubs. Sleeping on the side of the piercing and getting it injured. 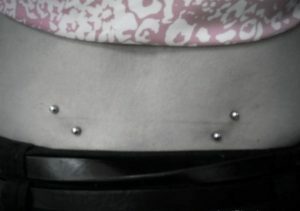 Surface piercings go well with straight barbells or staple bars and therefore common with the name Surface bar piercing. People who do not want to show it may use retainers. People somehow like to experiment with new styles, therefore curved barbells and studs are also an option. Make sure the metal of the jewelry is non-corrosive and less reactive so that it may not cause irritation. 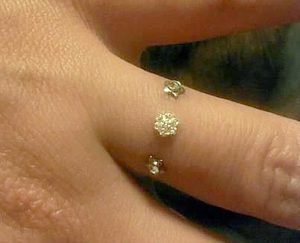 The cost of surface piercings may vary depending on the part which is getting the piercing. Roughly it can cost an estimate of $45 to $60. The choice of jewelry may also influence the prices.